Witamy i zyczymy wszystkiego najlepszego na nowy rok! Welcome, and we wish you all the best in the new year. We’re having a party to celebrate the New Year. Lots of friends and neighbors will be invited to socialize and enjoy an early supper. There was never any question that the dish of choice will be Hunter’s Stew, or better known in Polish circles as Bigos. This is classic and traditional comfort food at its very best. The base is sauerkraut to which we add kielbasa, bacon, pieces of pork and / or beef roast, dried mushroom for distinct flavor, some onion and tomato for background, and basically stew the heck out of it for several hours - it’s even better if prepared the day before, giving all the flavors time to marry and hang out with each other for a while. The recipe below is based on a classic Warsaw version handed down from Peter’s Grandmother. But truth be told there are a “gazillion” varieties of this hearty dish since every town and every village in Poland, and probably every cook has their own version. As we travel to various Polish heritage festivals around the U.S. with our books and programs, we’ve noticed that the cooks at every church use some Babcia’s recipe. Each is a bit different and each is always popular so that Bigos is often the first dish on the menu to sell out. The beauty of Bigos is that the proportions don’t matter that much and the flavors will all come together, no matter how you change things up to make it your own. For our New Year’s day party, we’ll serve it with some boiled potatoes and black bread on the side. 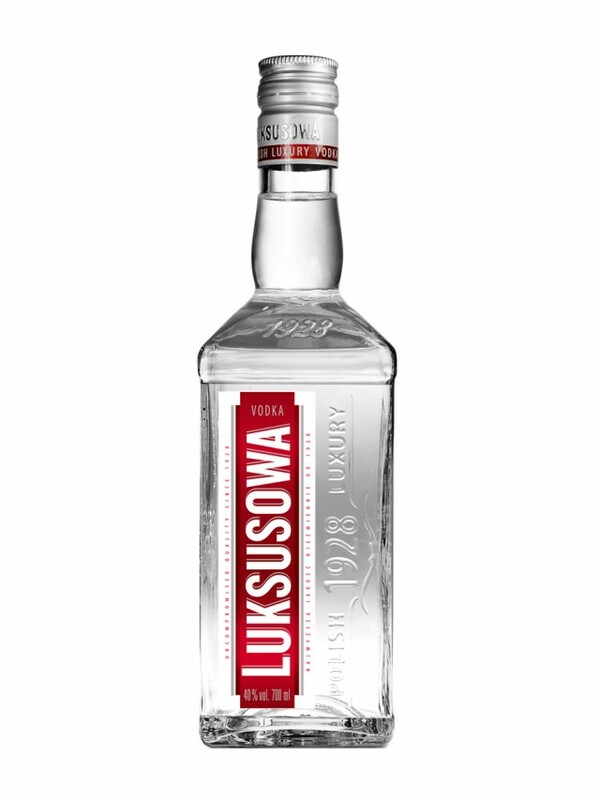 For the adventurous guests, we’ll be "doing" shots of ice cold Polish vodka. 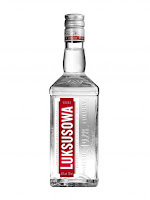 Peter likes Luksusowa potato vodka because it is very smooth and a great value for the price). 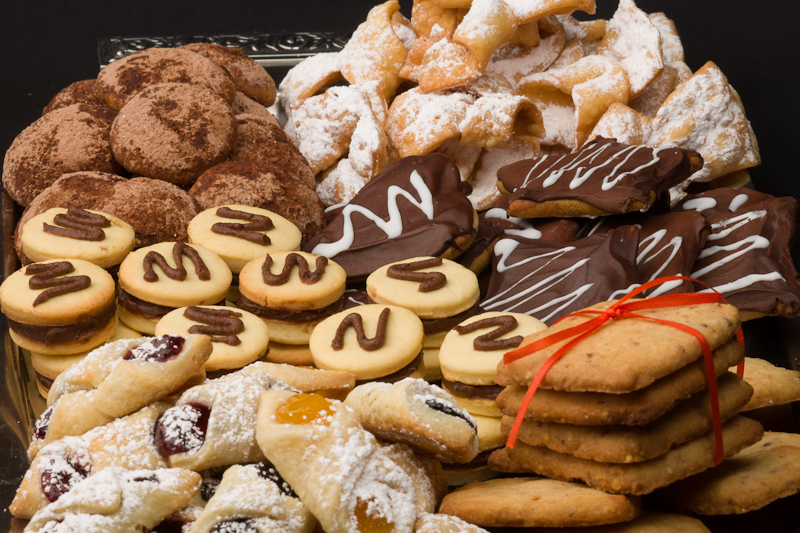 For dessert, we still have too many platters of Christmas sweets which are still delicious. We’ll put them out and pray they go fast. Soak the dried mushrooms in hot water until soft. Transfer the mushrooms and their water to a small pot and simmer for about 30 minutes. Drain the mushrooms but be sure to save their the liquid. Chop the mushrooms into rough pieces. Wash the sauerkraut twice, thoroughly squeezing out the water each time. In a large pot, combine sauerkraut, mushrooms and their reserved liquid. Add the apple, tomatoes, peppercorns and bay leaf. Add a little water or broth if needed, and simmer for 1 hour and 15 minutes, stirring occasionally. Be sure the liquid doesn’t all boil off. Pre-cook the bacon at least half way to render most of the bacon fat and rough-chop. Add all the meat and bacon. Cover and simmer 1 hour longer, stirring occasionally. This dish tastes much better when reheated the next day. Serve with potatoes, and crusty dark bread. 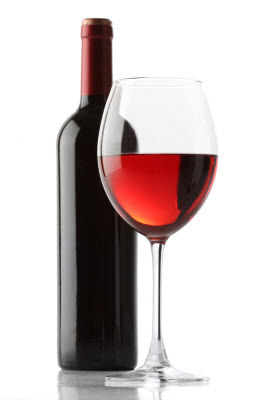 It pairs well with either icy vodka, hearty red wine like a cabarnet sauvignon, or beer. PS: This is a great crockpot dish – cook on high for 2 hours then low for about 6 hours. Reheat the next day until hot throughout.